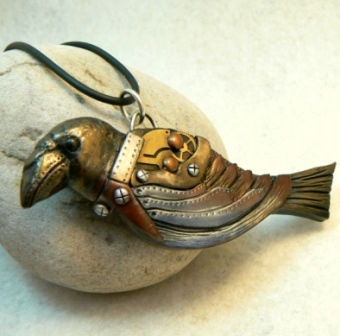 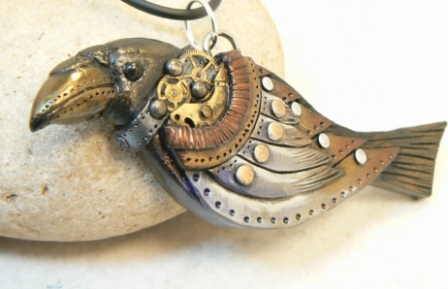 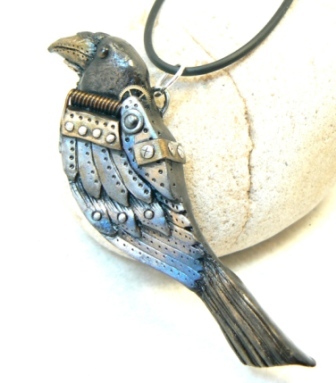 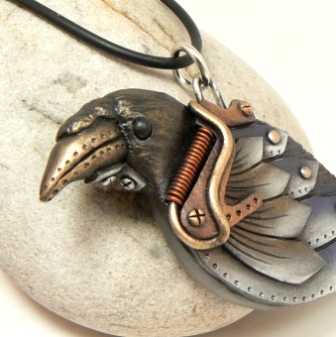 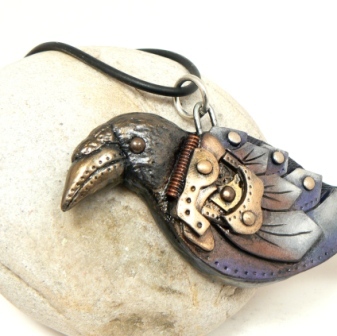 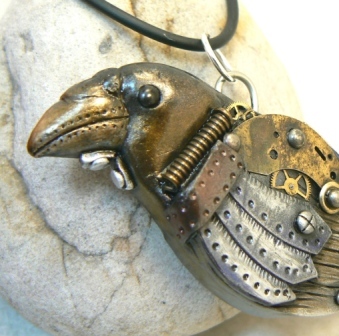 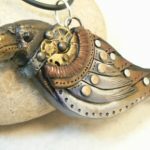 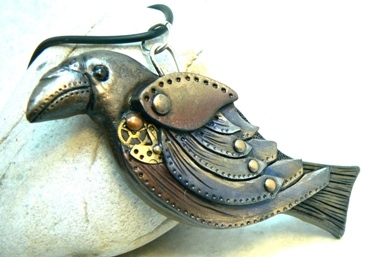 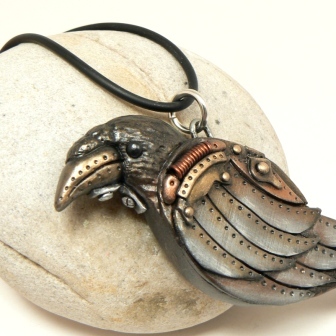 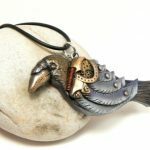 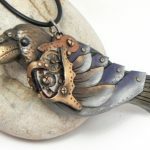 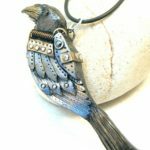 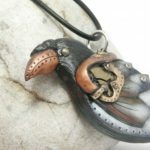 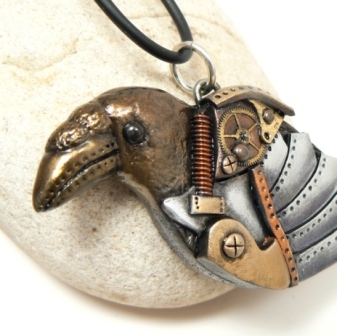 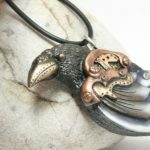 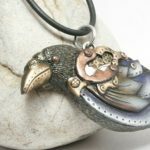 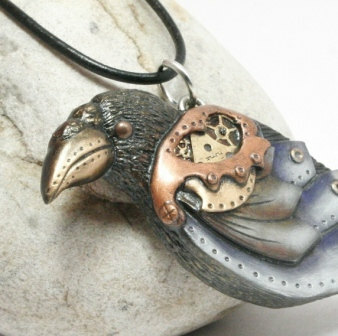 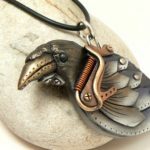 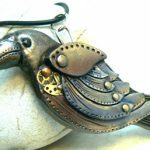 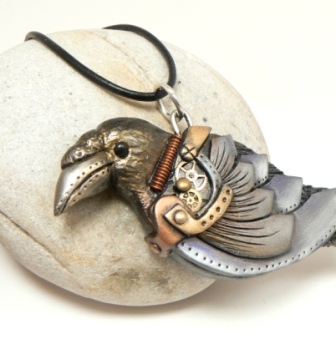 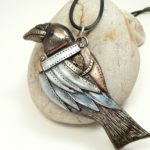 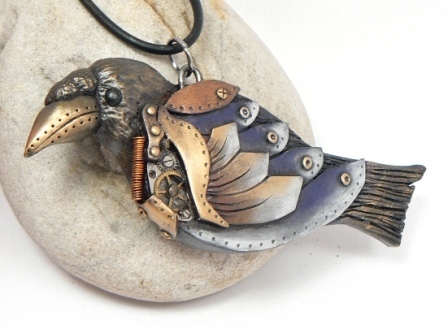 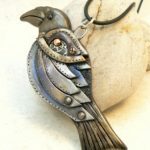 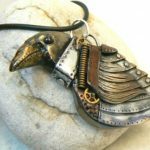 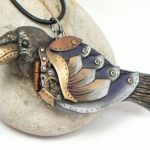 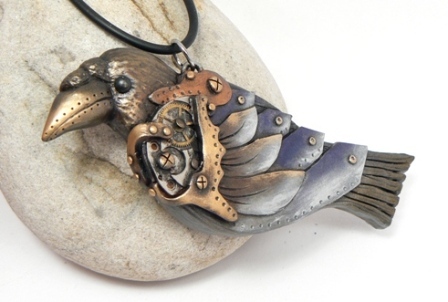 My original crow pendants in my steampunk, cyberpunk, post apocalyptic style, some of them have gears and watch parts in them and others have handmade wire springs, too. 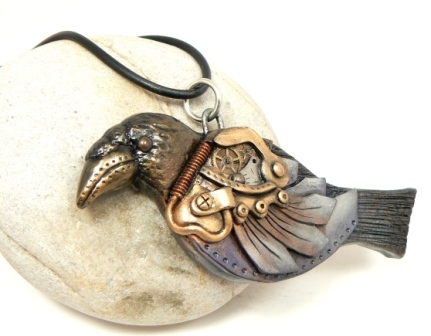 But they’re all handcrafted by me from polymer clay then highlighted in various silver, copper, and brass metallics. My first crow was a request from one of my favorite customers and she was definitely happy with the result! 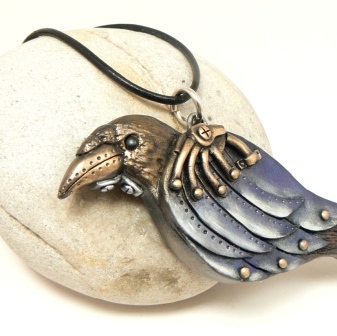 Since then I’ve made quiet a few crow pendants and I try to make each one unique, that’s the fun part. 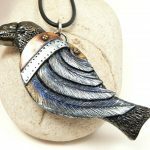 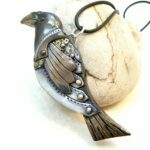 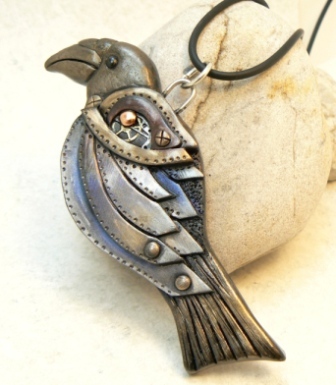 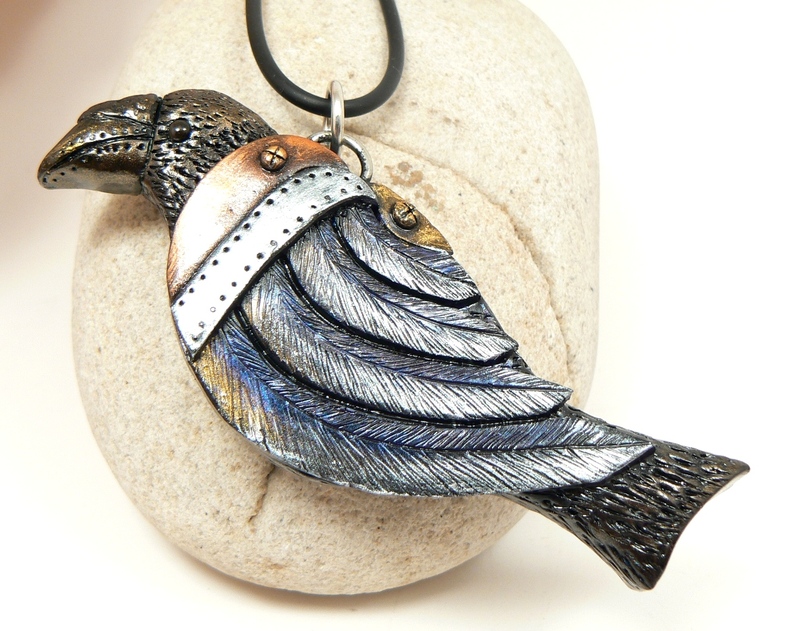 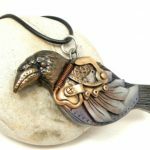 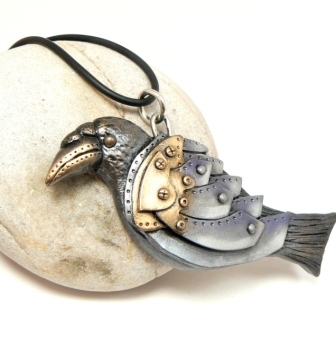 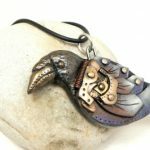 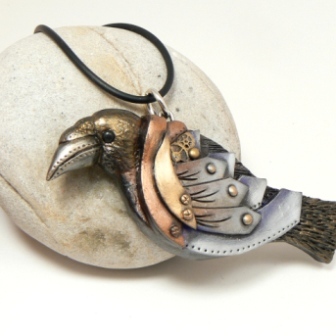 Find Crows in my online shop!